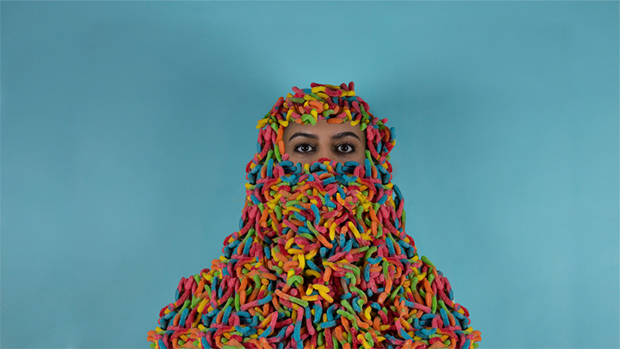 Behnaz Babazadeh is an Afghan-American artist and designer whose work spanning photography, sculpture and film, challenges the western preconceptions of women in burqas with a series of works made from materials found in the candy aisle. 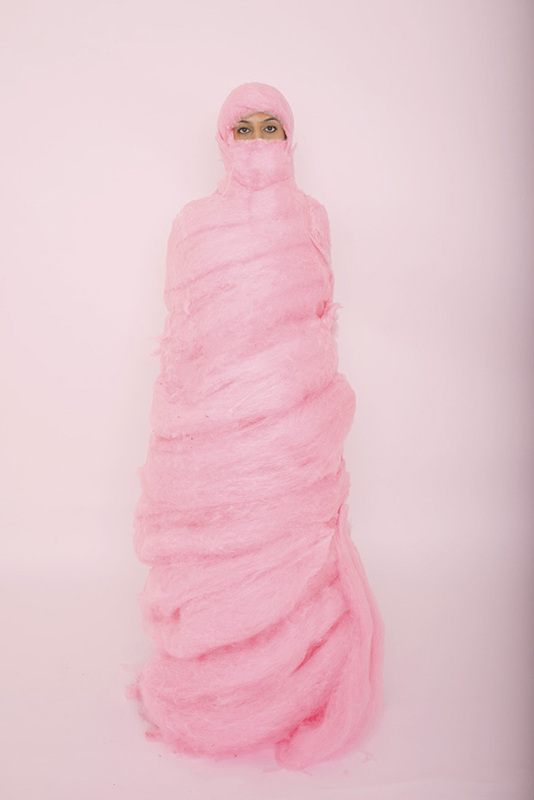 With her background in branding, interaction and user experience design, Behnaz creates experiential exhibits that evoke new ways of looking at a traditional garment. 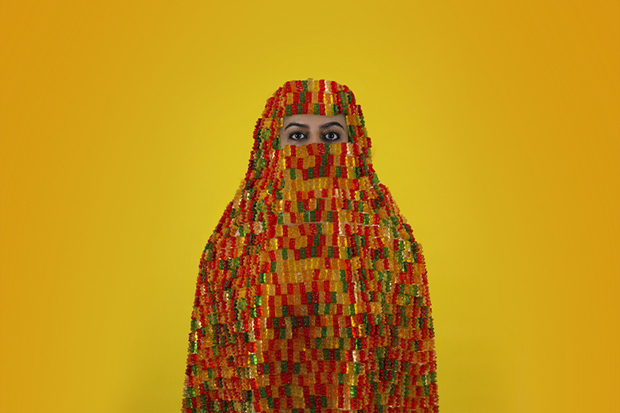 In her series Burqaphilia, Babazadeh opens a dialogue regarding the culture of the burqa. 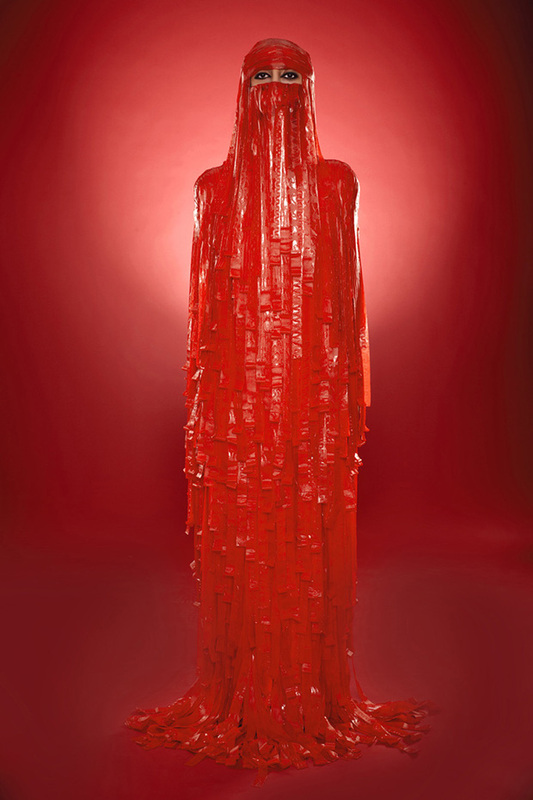 Inspired by an incident that occured when she first came to America as a little girl, the artist uses nets, plastic sheets and candy to create unconventional burqas. 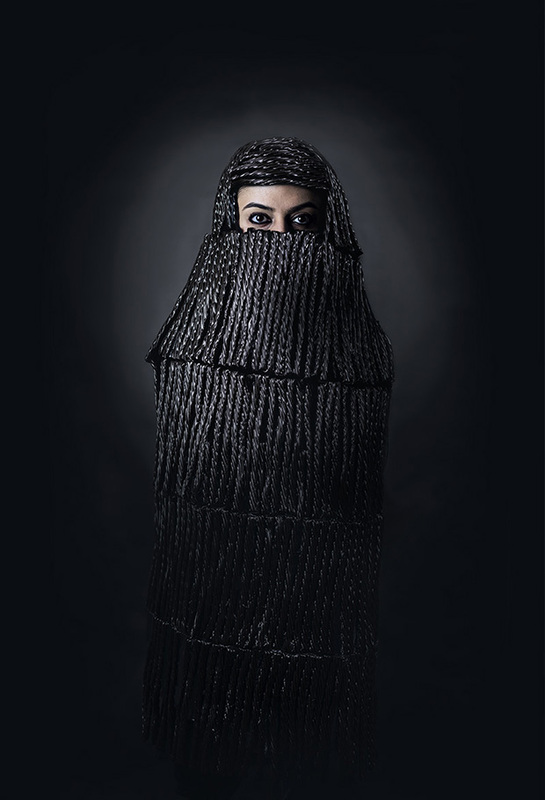 Commenting on the people’s perception when it comes to people wearing burqas, Babazadeh hopes to discuss the issue on its social -and not religious, level, as the burqa has been a garment to signify women’s social status for generations.